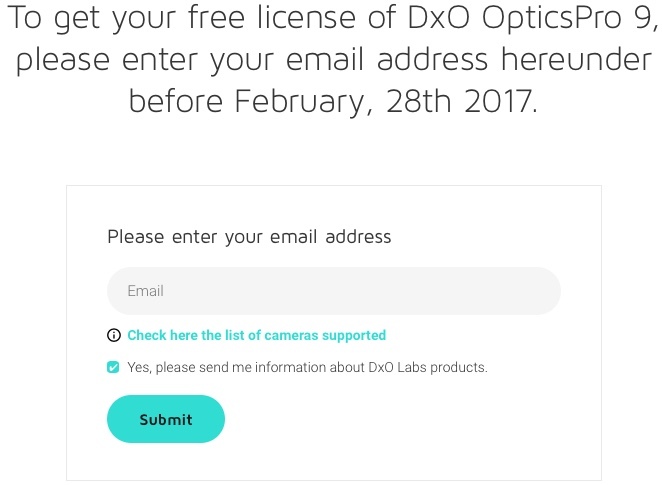 DXO is offering an older version of there DXO OpticsPro9 software for free until February 28th, 2017. Many Sony cameras are supported up till the A7 and a6000, but the software won’t be updated so it’s for learning if you own a newer camera. This entry was posted in Software and tagged DXO, OpticsPro. Bookmark the permalink. Trackbacks are closed, but you can post a comment.